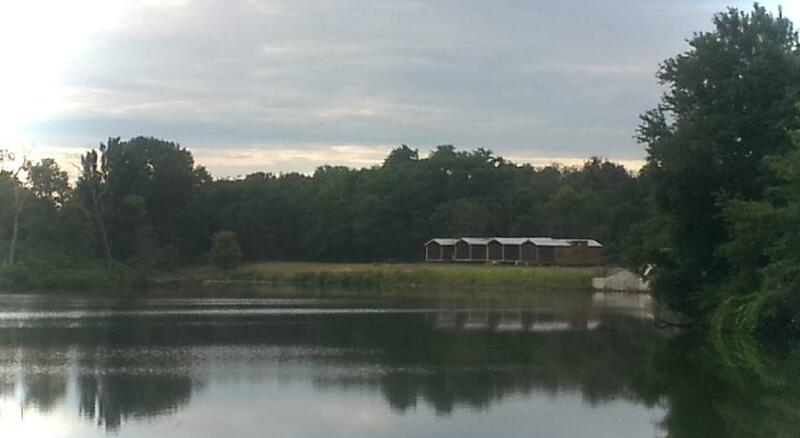 The Cabins and Cottages at Shale Lake is a lake-side self catering farm stay in the town of Williamson, just north of St. Louis, Illinois, with horse stables, a vineyard and a winery. They have a good range of very comfortable cabins and cottages, all with full kitchen and lounge, TV and DVD player though with no internet access and outside they all have a patio with a fire pit and barbecue facilities. There are some nice hiking and biking trails around the lake and you can arrange bike hire from the owners. The lake is of course a great place to fish (catch and release only) and guests are welcome to explore the horse stables and vineyards and taste some of their wine at the winery.